What, you’ve never heard of Marginasia? Don’t worry – neither have we. But if “marginalia” describes the notes in the margin of a book or other text, then Peril is curious to explore writing in the margins of Asia, our so-called Marginasia. We are open for submissions for this edition until 10 July 2015. For a continent bounded by Europe and the Arctic, Pacific and Indian oceans, covering some 41,440,000 sq. 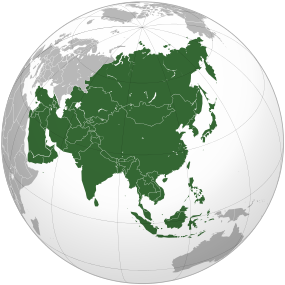 km and encompassing almost 50 discrete nations, some could argue we have more to gain by questioning “Asia” – what it is; where it begins and ends; who defines it and who belongs to it – rather than reducing it to an easy set of symbols to be read by an audience that wants to simplify “the other”. For Australia, “Asia” has most commonly been conceptualised as “South East Asia”, and our regional politics, trade dynamics and socio-cultural exchanges have historically been with that region. But is this really the full story of Asia and Australia?